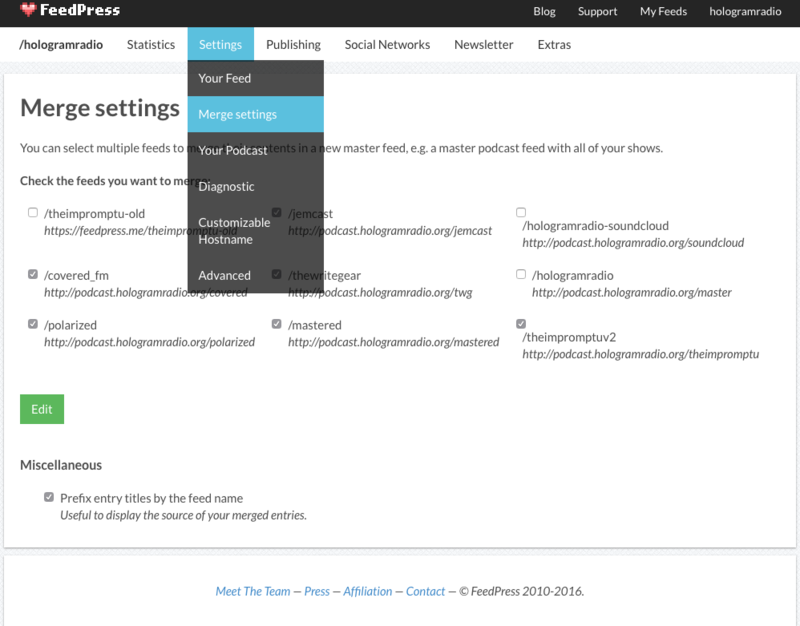 FeedPress allows you to select from a multiple of feeds that you have and combine them into a "master" feed. 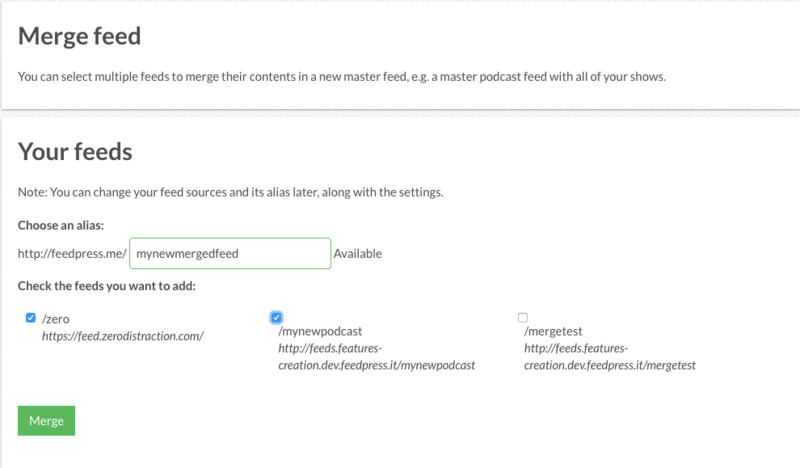 This is very useful for podcast networks where you have many podcasts and perhaps your listeners prefer just a single feed so they can subscribe to all of your podcasts. Bloggers will also find feed merging useful as some reads may want a feed that combines a multitude of topics that you write about. On your feed dashboard, click the Merge Feed button to get started. Select two or more feeds that you wish to merge. and click Merge. If you wish to change any of your settings, go to Settings > Merge Settings to make those changes. By default, we prefix entry titles with the name of the feed—this way people know what feed the particular entry is from.